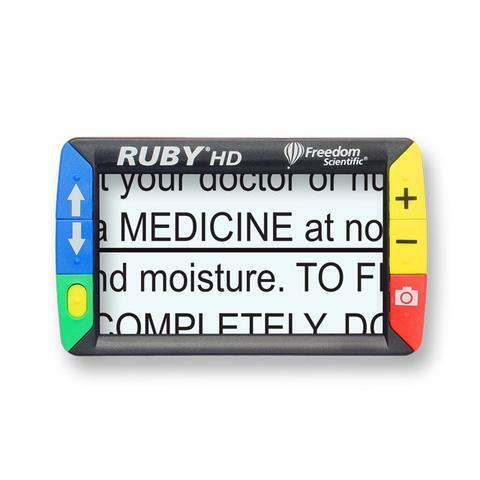 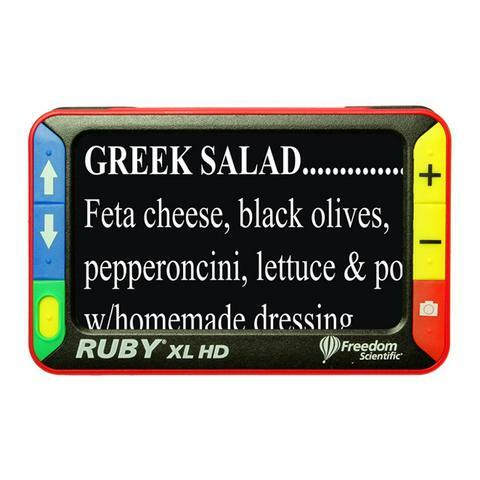 RUBY handheld video magnifiers provide the help that many people with low vision need to read text and see details. 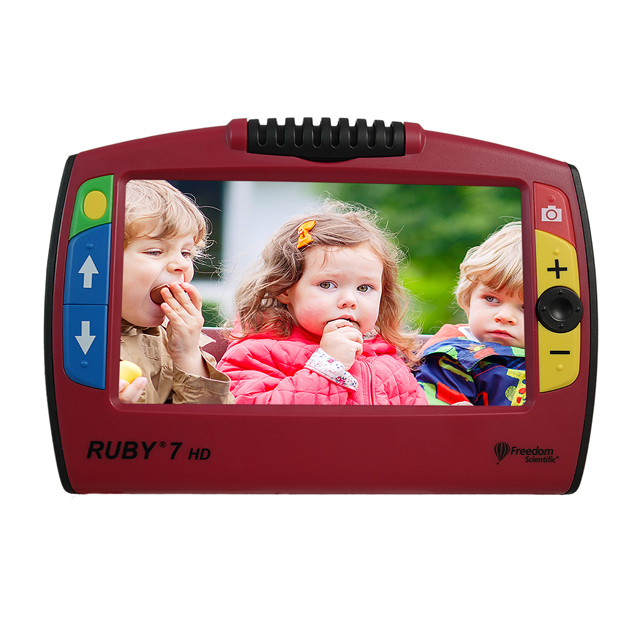 All RUBY models have a crisp, sharp image, high-contrast modes, and built-in LEDs. 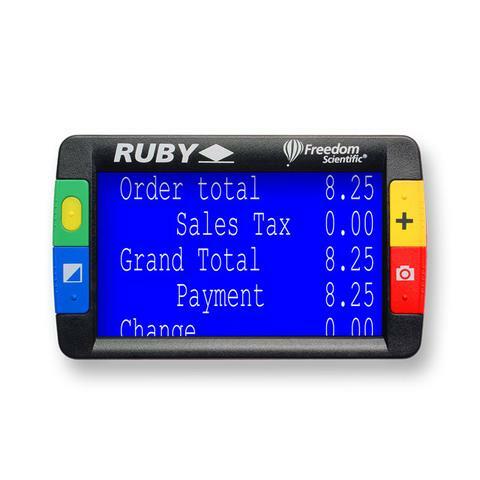 The streamlined design means RUBY can go with you anywhere, giving you easy access to photos, letters, prescriptions, packaging labels, and menus, even in a dark restaurant. 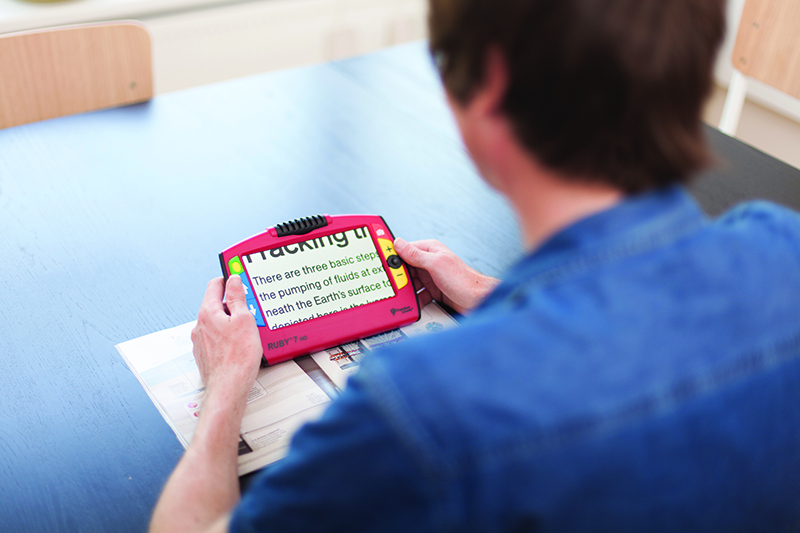 With its broad range of adjustable, undistorted magnification, a RUBY video magnifier outperforms a drawerful of traditional magnifiers.